DAIWA NEW SALTIGA EXPEDITION 8000H out now!!!! We have just receiced DAIWA NEW SALTIGA EXPEDITION 8000H from Daiwa Japan. The biggest sized Spinning reel of Daiwa Japan!!! Shimano informed Shimano BeastMaster 6000 will be released on July. 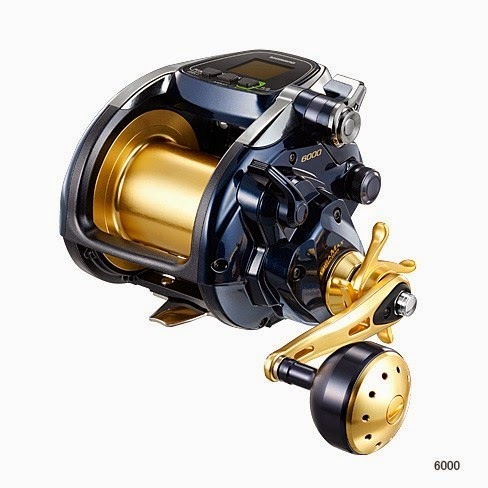 This New 6000 class sized electric reel, we see only prototype at Fishing show Osaka this Feb. 2014, but detail and release data were not revealed. Finally, this week shimano Japan release details!! According to their information, this middle size electric reel has Max drag power at 30kg!! and Max rewinding power at 113kg, The drag power is much higher than BeastMaster 9000 and rewinding power is same! !